Home Coming Events Mamma Mia! ABBA’s hits tell the hilarious story of a young woman’s search for her birth father. This sunny and funny tale unfolds on a Greek island paradise. On the eve of her wedding, a daughter’s quest to discover the identity of her father brings three men from her mother’s past back to the island they last visited 20 years ago. The story-telling magic of ABBA’s timeless songs propels this enchanting tale of love, laughter and friendship, creating an unforgettable show. A mother. A daughter. Three possible dads. And a trip down the aisle you’ll never forget! 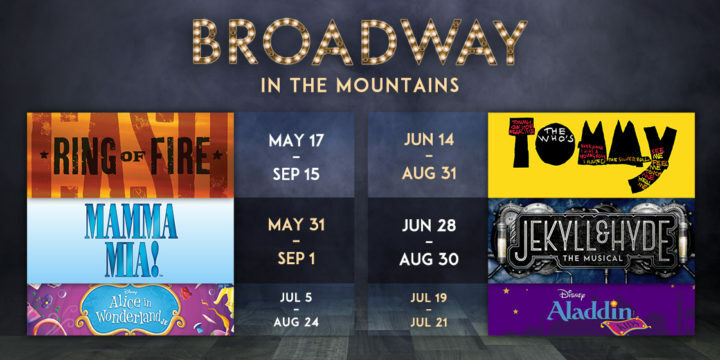 “Mamma Mia!” will take place in the Pagosa Springs Center for the Art’s Black Box Theatre located in the back of our theatre.